Hi all! It's time for a new CAS-ual Fridays Inspiration Challenge. This week it's about Friendship, so I had to break out the Mon Ami stamp set and dies. 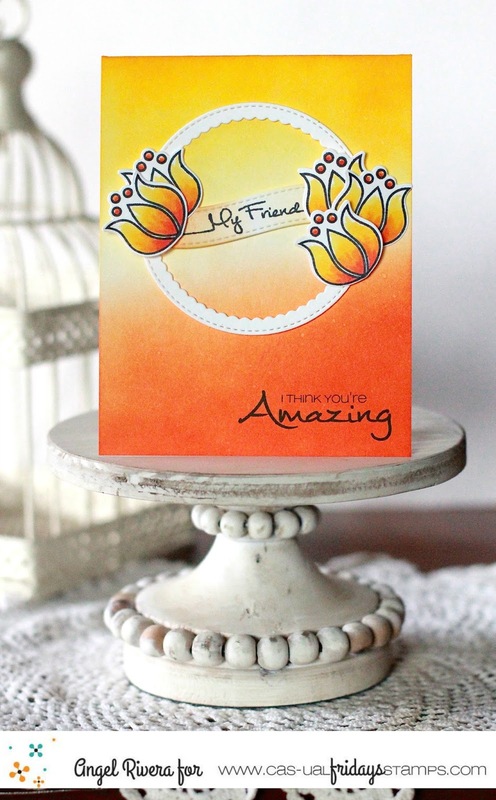 I used lemon drop and orange zest inks on my card base then layered a circle die over that. I also sponged the sentiment banner. The flowers were colored with Copic markers then adhered with foam adhesive. Thanks for stopping by! Be sure to play along at the CAS-ual Fridays Blog for a chance to win! Hi all! 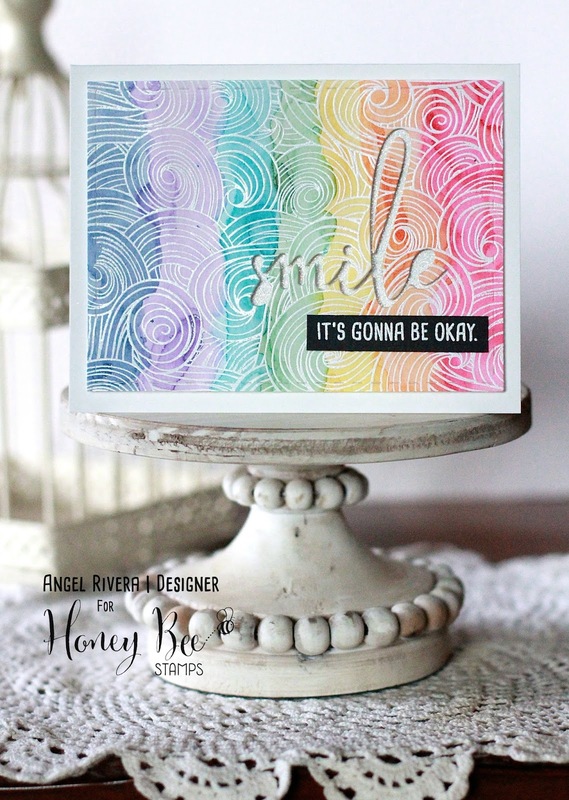 I have a cheery little rainbow card for you today because seriously, who doesn't love rainbows?? I embossed the new Honey Bee Stamps Ocean Borders background stamp with white embossing powder over a piece of watercolor paper that I had watercolored with various inks. Who says that background can only be used for waves? ;) I think used the Smile die and backed it with white glittered paper using foam adhesive. 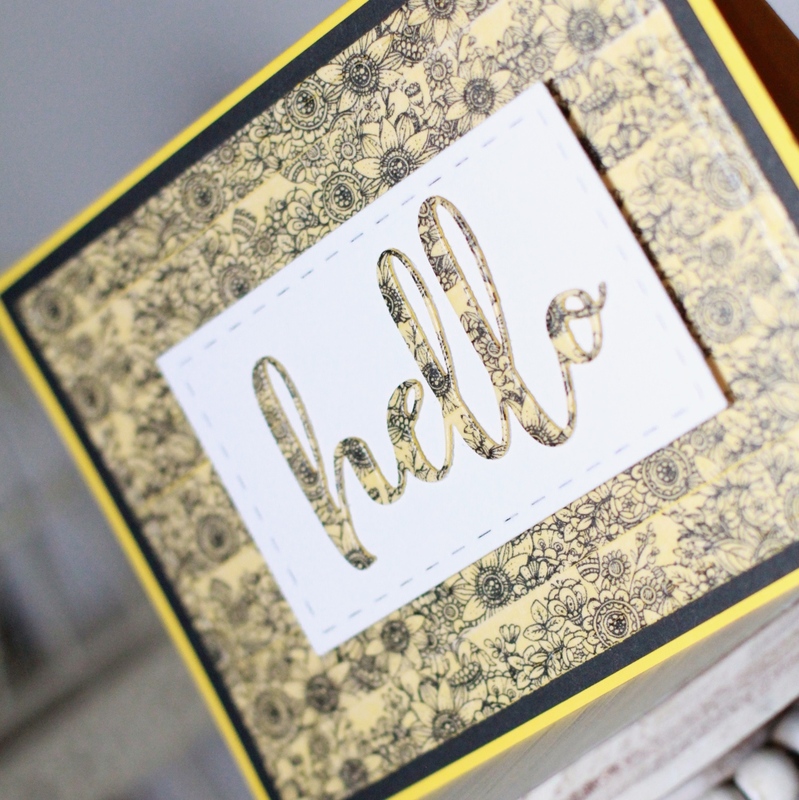 The sentiment is from the Smile stamp set and is also embossed with white embossing powder onto black card stock. Hi all! Here's a peek at a card I have up on the Birch Press Design blog today! And HAPPY BIRTHDAY TO MY MOM!!!! Love you!!! HI all! 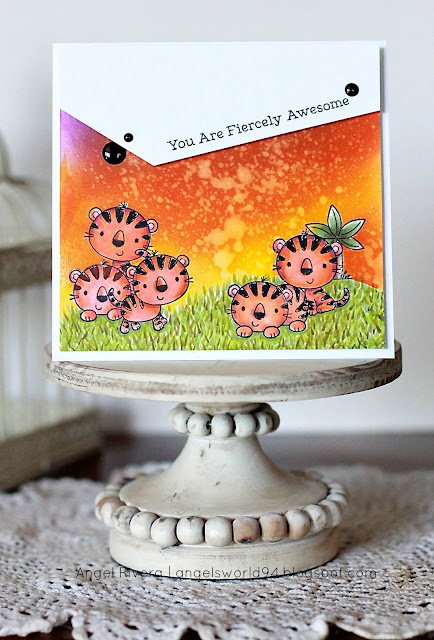 Here's a card I made for the MFTWSC342 using the new stamp set, Fierce Friends. I did quite a bit of masking here. 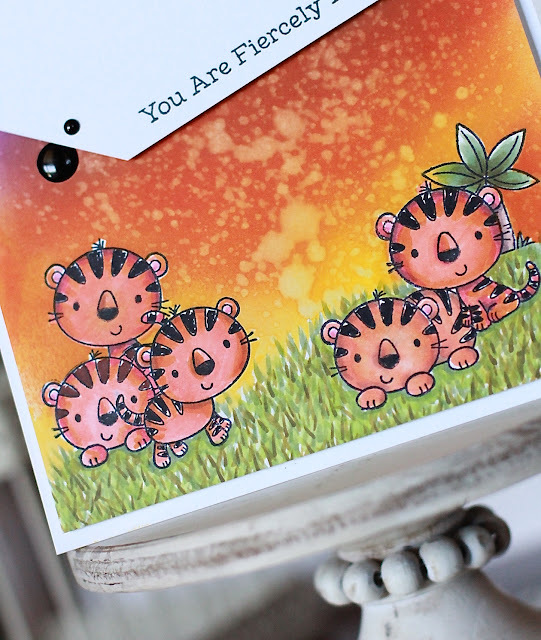 I colored the not-so-fierce tigers with Copics, then used grape jelly, orange zest and lemon drop inks to sponge the background. A little spritzing with water adds such a cool look - I'm obsessed! I also used Copics to create the grass. Hi all! 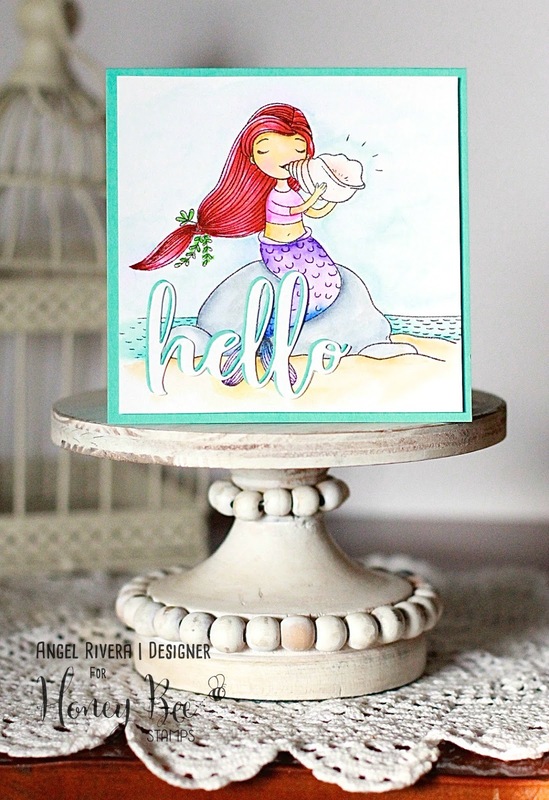 I'm back with another mermaid card because HOW CUTE are these new Honey Bee stamps! 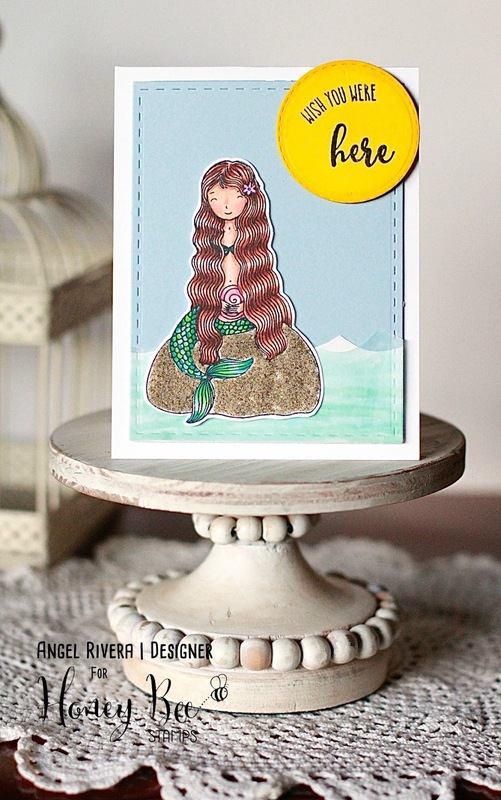 I colored the Ocean Bliss mermaid with Copics. She is popped up on foam adhesive over a background that I created by sponging two different blue inks onto watercolor card stock then spritzed with water. The sentiments are from the larger set, Mermaid Song and are embossed with white embossing powder onto black licorice card stock. 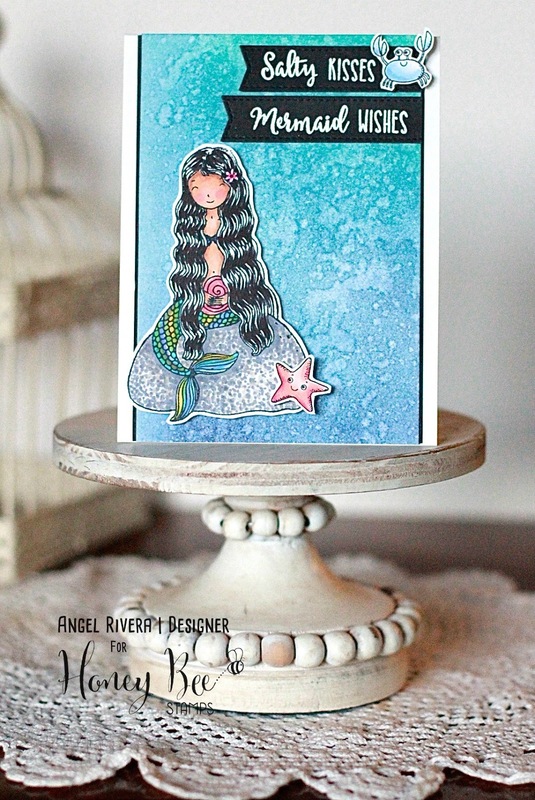 I also added the crab and starfish from the Mermaid Song set. :) I'd love to know what your favorite set is from the new release! Hi all! Here's a card I made using the latest MFTWSC341 sketch. 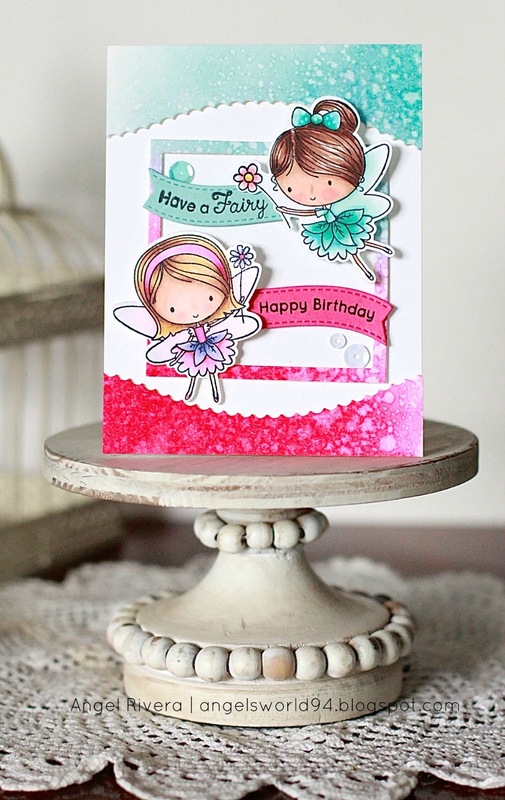 I went a little opposite with the sketch added watercolored layers on the ends and the square frame rather than the curved middle section :) These fairies from the Fairy Happy stamp set are some of the cutest ones on the market! I colored them with Copics. 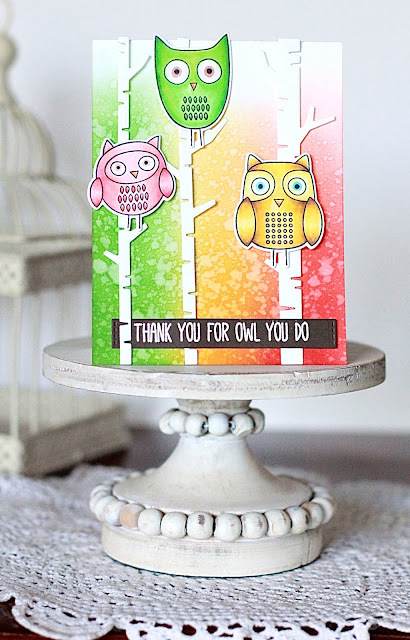 I used an element from one of my favorite Blueprints (#25) for the sentiments. Added a few sequins for more fun! Everything was adhered with foam adhesive (except the sequins) to a Smooth White card base. Hi all! Here's one more peek for you before our big Blog Hop tomorrow! Stay tuned for our BIG BLOG HOP this FRIDAY!!! Hi all! I hope you all had a great 4th of July yesterday! 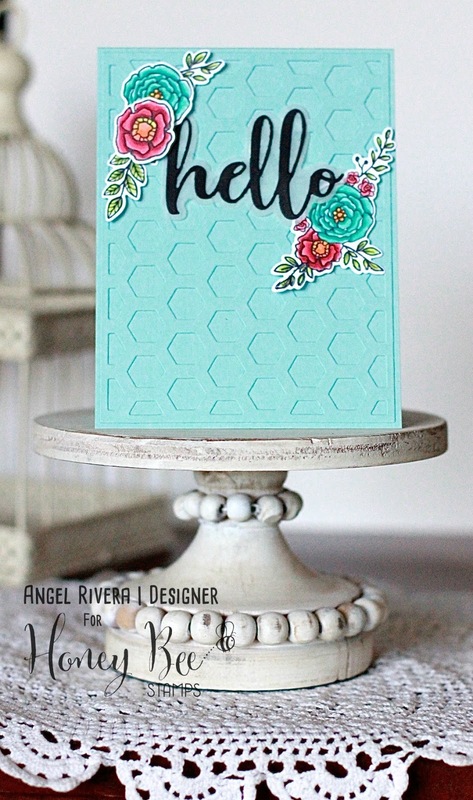 I'm back with another Honey Bee Stamps card today! The Country Blooms set is just Gorgeous! I colored them with Copics then used the matching dies to cut them out. I layered them around two of the Hello Honey Cuts - one in black card stock, the other in vellum. 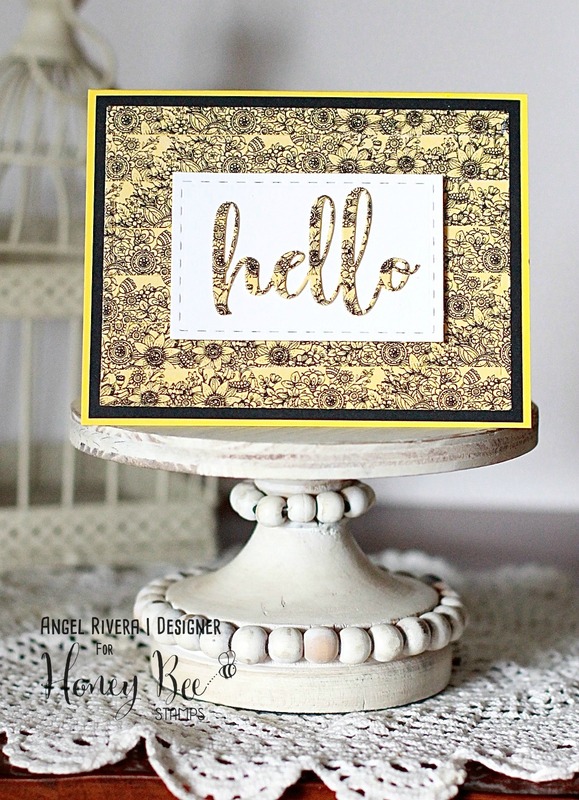 I love adding background dies in the same card stock as my card base - just a little extra texture and interest without taking away from the main images. Here, I used the middle Hexagon Cover Plate.